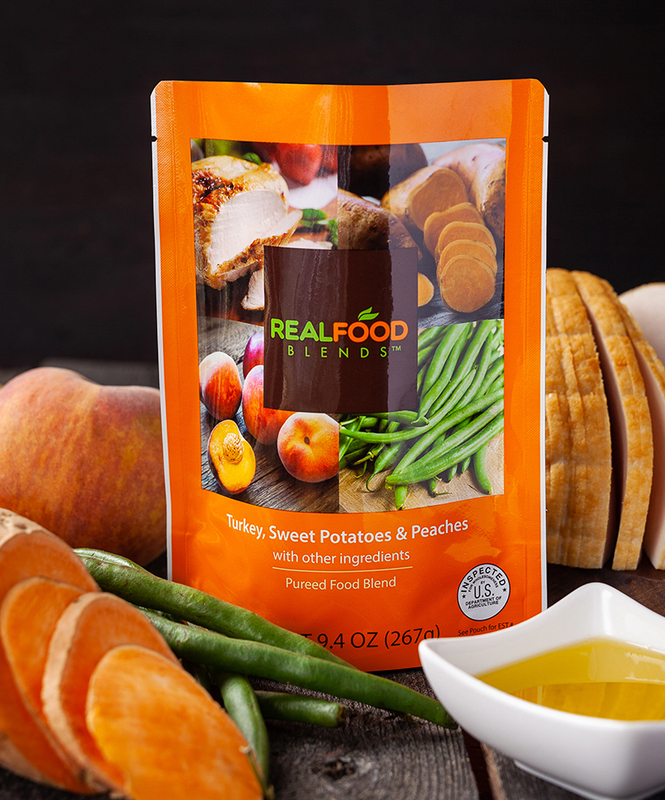 Real Food Blends is proud to launch its sixth meal variety, Turkey, Sweet Potatoes & Peaches! Just like our other five meals, and unlike traditional enteral formulas, this meal contains only 100% real food ingredients with no added sugar, synthetic vitamins, or preservatives and can be used by kids and adults. This new meal is available now nationwide through Real Food Blend's large network of DMEs, medical supply, and home infusion companies or direct via RealFoodBlends.com.